One of our requirements for our high school students hoping to land a job with Grow Detroit’s Young Talent this summer is that they must smile when they walk through the door. We want them to learn that the way they enter a room can have a big impact on their success inside of it. We also know that smiling isn’t always as easy as it seems. 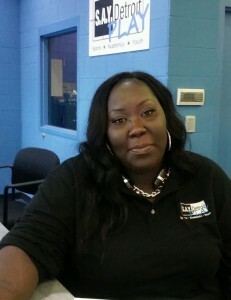 The first person our young people see each day is Tiara Johnson at the front desk, and when she was their age, she often didn’t have a reason to smile. Tiara’s father used to get drunk and beat her mom while she and her sister hid in a closet. Her mother left him when Tiara was young, but things did not get better. Tiara looked so much like her dad that her mother directed her anger towards him at her throughout her childhood. By the time Tiara got to high school, she left home. The next five years were a revolving door from the streets to a juvenile detention facility to home to the streets and jail again. Eight years ago, she was in a shelter, eight months pregnant with her first child, and spending nights in a sleeping bag on the floor of a different church each week through a program for homeless moms called Rotation, run by Cass Community Services. Now, Tiara is a wife, a mother of two daughters, and head of the parent teacher organization at school, in addition to her role here. She is also going to school to get a degree in criminal justice so that she can help young people who are going through what she went through. How did she go from long stints in juvenile and shelters to a stable home and family? Through the friendship of a stranger. When Tiara was saving money in the shelter to rent a home when the program ended, a landlord heard her story and offered to waive the first month’s rental fee. This unique gift was just what Tiara needed to get her own, safe, home for the first time in her life. That landlord became the Godmother to Tiara’s baby, Aranee, and helped her through some of the tough times ahead. Now, Tiara calls her Mom, and they talk just about every day. In her own way, Tiara is doing the same for the young people who come here, and it starts with a smile when they come in each day. 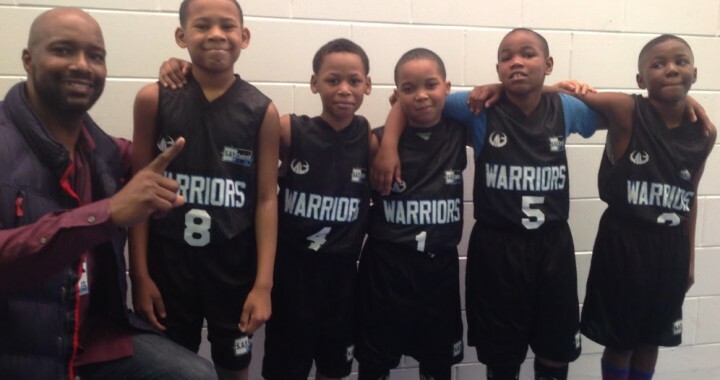 The SAY Detroit Warriors U10 basketball team had a tough road this season, not a tough stretch of road. The whole road was tough. They were winless after five games, even losing one game 34 to 0. Through it all, they never argued, never complained, and never gave up. Last Saturday, in the final week of the regular season, they won their first game, blanking the Monarchs 10 to 0. 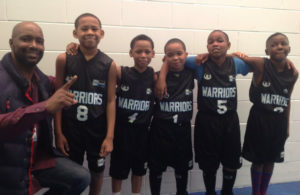 Coach Derrick Hayes, Jeremiah, Adolphus, Jeremiah, Johnathan and Omar after the team’s first victory. Posted in Change the Game.